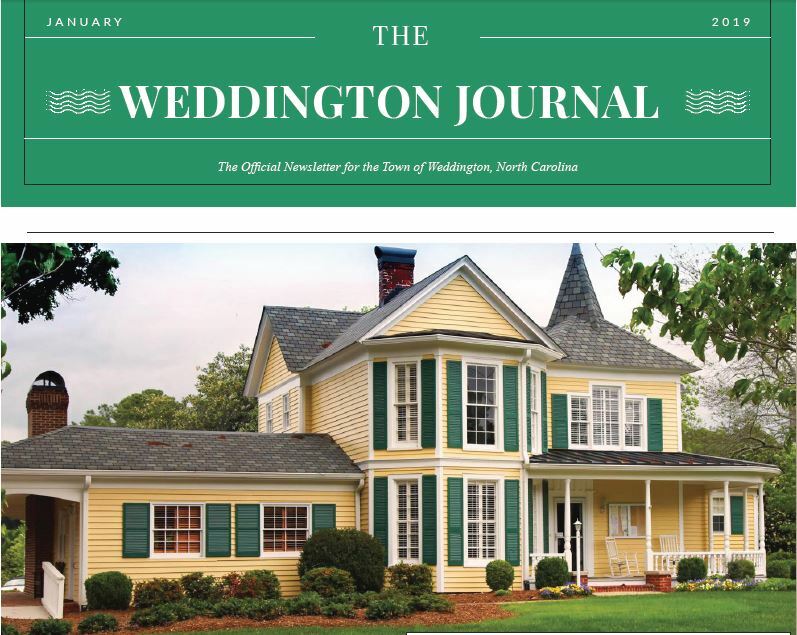 For the latest copy of the Weddington Journal, click here. At the January Town Council Meeting, the Council heard a presentation from the Union County Sheriff's office Chief Deputy Todd Elmore. He updated the Council with statistics and charts that included the number of patrol events, response times, and violent crimes. His presentation is available here. Chief Deputy Elmore also presented a new community crime map website that gives details on events in the county such as vandalism, theft, accidents, etc. Family, friends, and local veterans joined Boy Scout Gerry Hartman for a Celebration of Service on Saturday, December 22, 2018, honoring U.S. Military Veterans. This ceremony included the dedication of Mr. Hartman's Eagle Scout project, which includes a brick patio, benches, and a marble monument listing the names of veterans who are current or former Weddington residents. N.C.